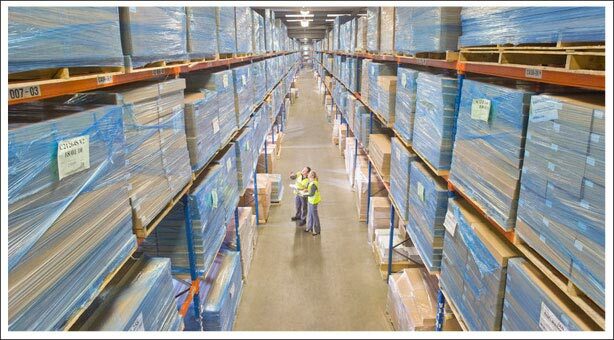 amounts of inventory with unlimited length and height over 24'. 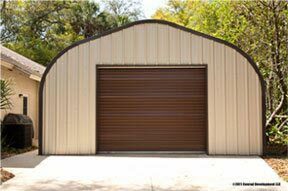 Metal Building Kings’ steel arch buildings and metal garages are a cost effective way to warehouse your inventory without the cost of traditional structures. 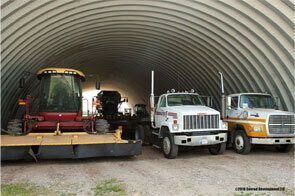 Impervious to acts of nature, pests, and maintenance free for decades our steel arch building kits designed and manufactured with a pre-engineered metal building system of prefab panels are the perfect structure for a warehouse or manufacturing facility. 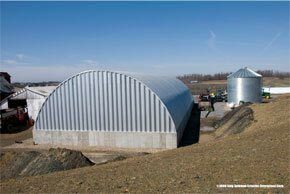 Our steel buildings withstand the most severe and extreme weather conditions on the earth. From sub-zero temperatures and heavy snow loads in the ever weather climates to fierce hurricanes in tropical regions. 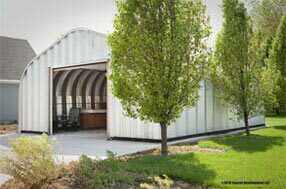 Check out the intense metal garage kit and steel arch building certifications we abide by to ensure your building meets all building codes and industry standards. 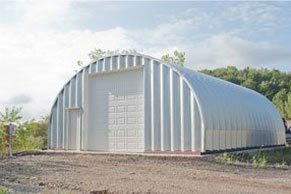 Our buildings are built with different degrees of heavy gauge steel from 14 - 22 gauge and offer the flexibility to customize entry points, windows, interior infrastructure and more. The Metal Building Kings arch building is coated with AZ55 Galvalume® - which is comprised of aluminum, silicone and zinc, a state of the art coating to help prevent rust and comes with an industry best 40 year rust-through perforation warranty and a 40 year warranty against peeling paint, flaking an loss of adhesion. View our metal garage kit specifications. 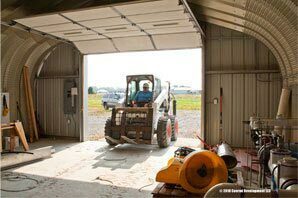 100% clear span metal building design means no beams or posts or trusses the steel arch building has 100% usable area inside and is secure and impenetrable to all outside pests. 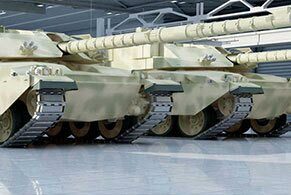 The system is fully expandable to different sizes and can be insulated or climate controlled depending on environmental conditions. 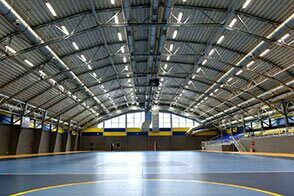 Install structures to hang lights, climate control and intercom systems, and shelving. Custom design your building and get prices with our online pricing calculator. 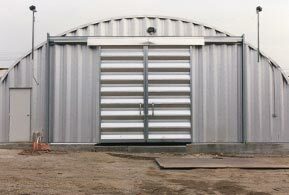 Choose from a variety of heavy gauge steel insulated overhead doors, insulated walk through doors, 6 types of ventilation systems, insulation types and lighting systems. 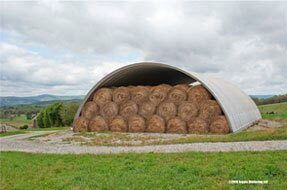 Our steel arch kits also include easy to follow step-by-step guide to building assembly, ensuring that you’ll work smoothly throughout the process and our customer service representatives are just a phone call away ready to assist you. We offer turnkey solutions to assist you with planning, permitting, foundations and construction with certified and reputable contractors in your area. If you require complete turnkey construction of your project, our experienced contractor services department will assist you in getting the job done right or send field construction consultants to assist your local contractor. 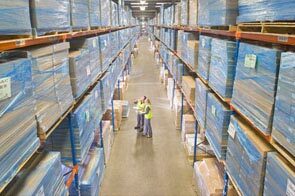 Your building kit will be delivered directly to your site and our engineers have the knowledge and experience to make sure your building is in compliance with your local county building codes. Choose from several types of building models in thousands of sizes to accommodate your specific needs. 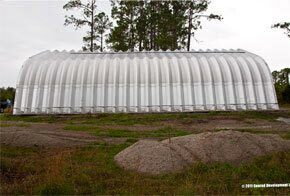 All Metal Building Kings® structures use the finest high quality silicone-protected polyester coil coating paint system in the industry that is specific to metal panels to assure your colors do not fade, chip or peel and are guaranteed for decades. Choose from Galvalume, Lightstone, Polar White, Fern Green or Burmished Slate.